I highly enjoyed my stay at the Astor, the hostel is nice and staff are helpful, friendly and gave good recommendation for a dinner out. The four bed female room was very clean and there was enough space to put luggage etc. The charity breakfast includes different types of muesli, toast and jam/honey/etc., so it is definetly worth having breakfast there and similtaneously donating for a good cause. Also, main sights can be reached fairly fast by walking (which was my main way to get around). Great location! Perfect for what I needed, & quick + friendly check in and check out. Got Oscar and João on reception, both very friendly, toilets and room cleaned, was a pleasant stay! Perfect location and friendly staff. 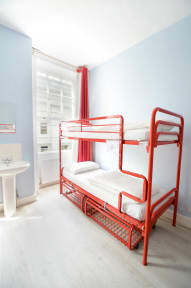 I was in an 8 bed dorm, it was a little snug and a tad too warm, but for the price and location I can't complain. I would've preferred a slightly better pillow (it was like sleeping on a pancake) And the bunk was a bit rickety - but you get what you pay for with a hostel and there really wasn't anything to moan about. The place is nice and clean, convenient location, friendly staff. We were in a totally separate (albeit closeby) building with no warning, and there were two flights of stairs between the rooms and the toilets. My key stopped working several times, and the front desk guy was really rude about fixing it. HOWEVER, reasonable price, great location, good enough beds, and I liked that they didn’t charge for padlocks. Overall would recommend, just heads up that there are some parts that are a little uncomfortable (even for a hostel). Great location. 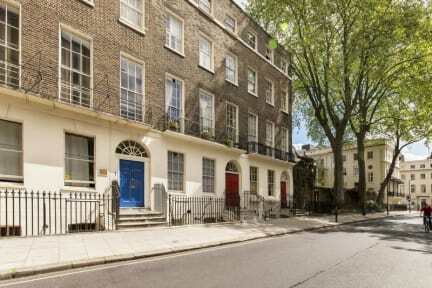 Easy access to transportation and right across from the British Museum and between two parks. Lovely Staff - especially Maddie. Check in & check out seamless and effortless. Literally around the corner from the British Museum, so if you're in it for that, you're set. Short five minute walk to the nearest tube station. There are two separate buildings, I was put into the separate one around the corner from where reception is. I was told the wi-fi there is faster than the "main" building, but multiple people including myself had a difficult time getting connected or reconnected to it. Hot shower and clean bed. most ppl need to take the stairs to a shower.